Beautiful mountain property zoned for horses set in a tranquil neighborhood in beautiful/peaceful Conifer. This home has three bedrooms and three bathrooms all above ground, as well as a fantastic playroom/office. Updated kitchen w/granite, SS appliances and beautifully remodeled bathrooms,. New carpet throughout. Incredible new garage for your cars and toys. Huge deck to enjoy the outdoors and plenty of space to roam. You will never want to leave this tranquil setting! 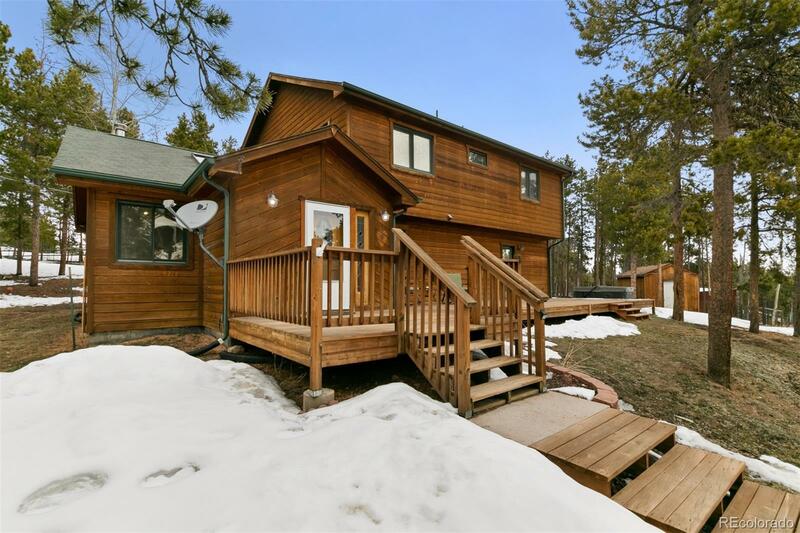 But when you do, easy access to the city, mountains, grocery, restaurants, boutiques, all you need is right down the road in Conifer Don't miss amazing, fully finished and permitted garage with 220V 50amp circuits,110 lighting and receptacles and TONS of storage.